Tyson Ross started 22 games for the Padres before being picked up by the Cardinals. 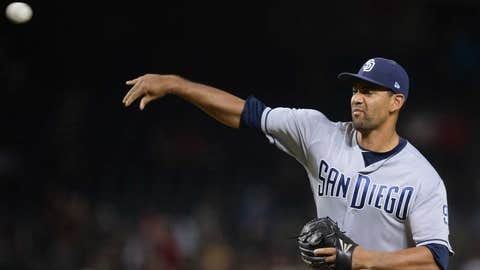 Pitcher Tyson Ross, who was claimed off waivers from San Diego on Sunday, has been activated and is expected to join the St. Louis bullpen Tuesday night in Miami. Ross takes the roster spot of reliever John Brebbia, who was optioned to Triple-A Memphis. Ross, 31, is a former National League All-Star (in 2014) and a nine-year veteran. The right-hander went 6-9 with a 4.45 ERA in 22 starts for the Padres this season. Brebbia is 1-3 with a 3.83 ERA, two saves and 45 strikeouts in 33 games across five stints with St. Louis this season.